Sometimes used vehicles can get a bad rap, but when you choose a used vehicle from a trusted company, you could end up getting a vehicle that’s reliable and affordable. 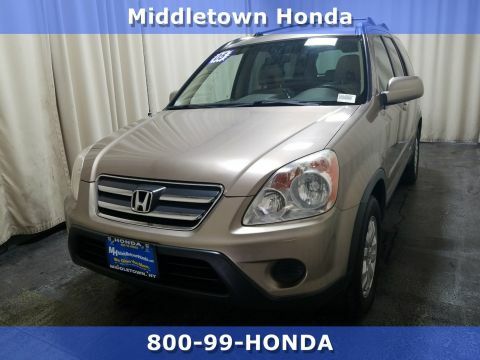 At Middletown Honda, we want our Monroe drivers to trust us for the best vehicles at the best prices, which is why we deliver used Honda CR-V models that are safe, dependable, and priced to meet the most stringent of budgets. The Honda CR-V is one of the more popular Honda models due to its versatility. Not only does this model deliver a vast amount of cargo space so you can haul everything you need, but it also delivers fold-down rear seats, so you can expand this cargo area even further. In addition, you’ll also be impressed with how far you can go on one tank of gas. And when you factor in the used Honda CR-V price, you’ll be even more inclined to bring one home to Monticello. Only 100,841 Miles! Scores 27 Highway MPG and 22 City MPG! 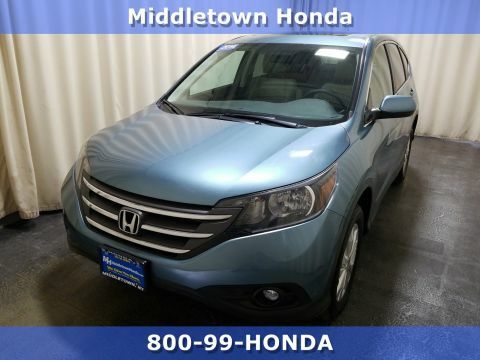 This Honda CR-V boasts a Gas I4 2.4L/144 engine powering this Automatic transmission. .* Stop By Today *A short visit to Middletown Honda located at 520 Route 211 E, Middletown, NY 10941 can get you a tried-and-true CR-V today! KBB.com Brand Image Awards. Boasts 27 Highway MPG and 21 City MPG! This Honda CR-V boasts a Gas I4 2.4L/144 engine powering this Automatic transmission. .* The Experts' Verdict...*As reported by KBB.com: Few vehicles do as many things as well as the 2011 Honda CR-V. As practical as a backpack, this benchmark crossover is an easy, stylish one-size-fits-most car choice. * Stop By Today *Test drive this must-see, must-drive, must-own beauty today at Middletown Honda, 520 Route 211 E, Middletown, NY 10941. KBB.com Brand Image Awards. Scores 30 Highway MPG and 22 City MPG! This Honda CR-V delivers a Gas I4 2.4L/144 engine powering this Automatic transmission. .* Expert Reviews! 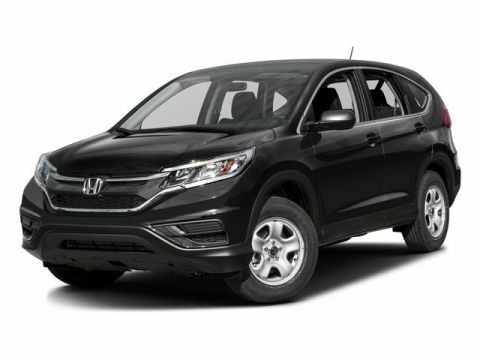 *As reported by KBB.com: If you're looking for simple, dependable transportation in a vehicle that can handle snow and mud as efficiently as it does a day of cruising yard sales, the 2013 Honda CR-V is an excellent choice. Need more reasons? There's good fuel economy, a reasonable price and lots of standard equipment. * Visit Us Today *Come in for a quick visit at Middletown Honda, 520 Route 211 E, Middletown, NY 10941 to claim your Honda CR-V! KBB.com Brand Image Awards. Scores 30 Highway MPG and 22 City MPG! This Honda CR-V delivers a Gas I4 2.4L/144 engine powering this Automatic transmission. .* Expert Reviews! 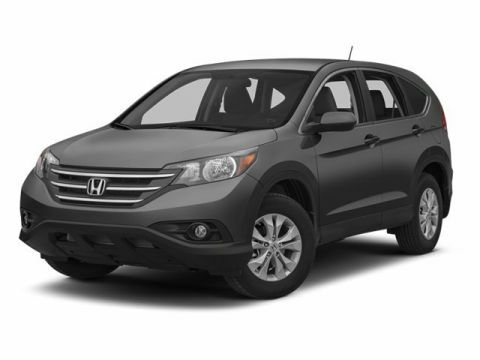 *As reported by KBB.com: If you're looking for simple, dependable transportation in a vehicle that can handle snow and mud as efficiently as it does a day of cruising yard sales, the 2013 Honda CR-V is an excellent choice. Need more reasons? There's good fuel economy, a reasonable price and lots of standard equipment. 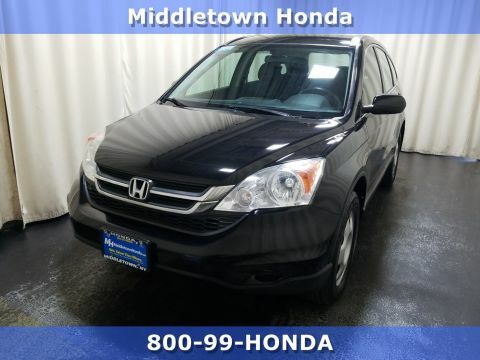 * Stop By Today *For a must-own Honda CR-V come see us at Middletown Honda, 520 Route 211 E, Middletown, NY 10941. Just minutes away! ALG Residual Value Awards. Delivers 30 Highway MPG and 22 City MPG! This Honda CR-V delivers a Regular Unleaded I-4 2.4 L/144 engine powering this Automatic transmission. .* This Honda CR-V is a Superstar! *ALG Residual Value Awards, KBB.com Brand Image Awards. * See What the Experts Say! *As reported by KBB.com: The 2014 Honda CR-V is as comfortable mushing through unplowed streets as it is circling the flea market ready to haul home some vintage antiques. Excellent fuel economy, a very reasonable price, and a near flawless repair record should seal the deal. * Stop By Today *A short visit to Middletown Honda located at 520 Route 211 E, Middletown, NY 10941 can get you a tried-and-true CR-V today! IIHS Top Safety Pick+. Only 15,677 Miles! Scores 31 Highway MPG and 25 City MPG! This Honda CR-V delivers a Regular Unleaded I-4 2.4 L/144 engine powering this Variable transmission. .* This Honda CR-V is a Superstar! *IIHS Top Safety Pick+, ALG Residual Value Awards, KBB.com Brand Image Awards. 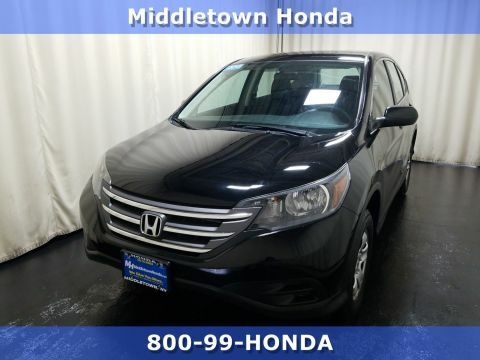 * Visit Us Today *For a must-own Honda CR-V come see us at Middletown Honda, 520 Route 211 E, Middletown, NY 10941. Just minutes away! From the latest models to the used selections, Middletown Honda offers an impressive inventory for all drivers in Goshen. Visit our dealership at 520 NY-211 in Middletown, NY to see our used Honda CR-V options, or contact us to learn more about our inventory.